Though the Honda Insight is handily outpacing sales projections in its home market of Japan, sales in the rest of the world are falling well short of expectations. Of the 200,000 Insights Honda had hoped to sell annually, 100,000 of those were supposed to come from the American market, 60,000 from Japan and the final 40,000 from Europe. In reality, Honda has sold roughly 80,000 Insights in Japan but only 20,000 so far in the U.S. and another 15,000 in Europe. By way of contrast, Toyota is continuing its strong sales showing with the 2010 Prius. For the month of November, Honda sold 1,403 Insights while Toyota sold 9,617 Prius hybrids. For what it's worth, roughly 10 percent of all cars sold in Japan are hybrids while U.S. hybrid sales, though up from previous years, struggle to crack the 3 percent barrier. 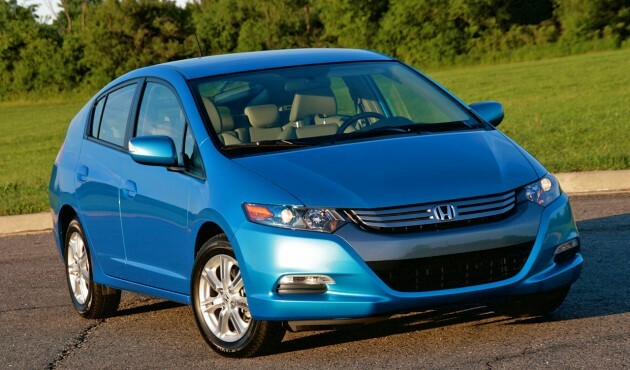 U.S. Honda Insight sales continue to stall, Japanese sales beat projections originally appeared on Autoblog Green on Thu, 17 Dec 2009 14:03:00 EST. Please see our terms for use of feeds. 0 comments on "U.S. Honda Insight sales continue to stall, Japanese sales beat projections"